If you are looking for a reliable and safe vehicle, that can still deliver some excitement, consider a Honda Civic. From sportier models like the Honda Civic Hatchback and Type R, to the classic Civic Sedan, you can find the right Honda model for your Yorba Linda drive. Check out our wallet-friendly Honda Civic lease deals and then drop by our Anaheim location for a test drive! Honda Civic Sedan: The Civic sedan provides notable safety features with standard Honda Sensing®, Bluetooth® connectivity, and a Multi-Angle Rearview Camera. Honda Civic Si: A turbocharged engine with an Adaptive Damper System and close-ratio 6-speed Manual Transmission give a sporty edge to the Civic Si. Honda Civic Coupe: This model delivers all your favorite Civic features in a sleek two-door coupe body style. Honda Civic Hatchback: For an athletic look and feel, as well as additional interior space, pick the Hatchback version. Honda Civic Type R: The most powerful Civic on the market, the Civic Type R is made to perform thanks to a turbocharged engine and added performance features. Not sure which Civic model is the best fit for you? 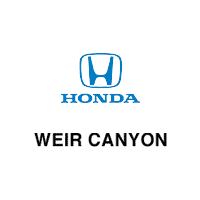 Explore them all in person, and compare the Civic to the Corolla, at Weir Canyon Honda! Schedule your test drive of one of our Honda Civic lease models today!